You can follow along with me as this portrait shapes up from beginning to end. I’ll be posting my work in progress through the month of April. 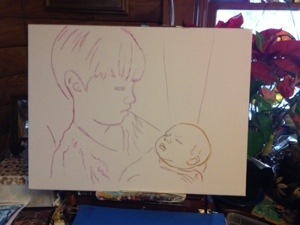 My first step is to draw John Howard and Anna Katherine on linen canvas.